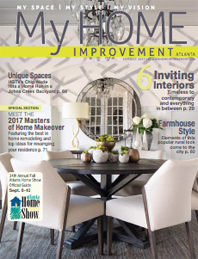 With more than 14 years of construction and design experience in Atlanta, the Castlehaven Construction and Design team has developed a reputation for excellence. 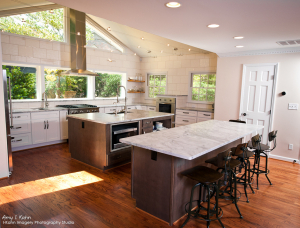 Innovative craftsmanship, quality materials, courtesy, cleanliness, and an unwavering attention to detail define our mission from start to finish in each home remodeling project. At Castlehaven, we know that your home is where your dreams are made and memories shared. We understand that remodeling a home is a very personal undertaking. We respect your needs and desires for your new space, as well as your privacy during the construction process. Before you make a hiring decision for your next remodeling project, contact us to see what we can do for you and your home. Our multi-phase Construction Process helps us stick to the proposed Completion Date for every project. We start with design development and a pre-construction meeting to make sure everyone’s expectations line up. Once the project is underway, our lead carpenters supervise all aspects of the work site and accessible point of customer contact. We confirm customer satisfaction at the post-production meeting, leaving them to enjoy their new space. We always strive to provide Competitive Pricing, ensuring maximum value for dollars spent. And just to provide additional reassurance, each Castlehaven Construction project is backed by a written warranty. 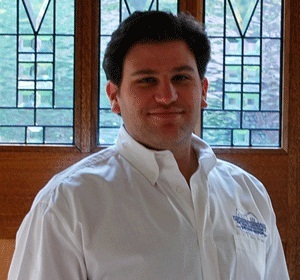 After earning a degree in real estate from the University of Georgia, Terry College of Business, Adam Pollock began his career in 2002, renovating and expanding existing homes for investment and resale. While real estate investing, Adam realized that there was a real need in the metro Atlanta area for handyman services to handle small odd jobs, home repairs, and special projects. In 2004 he established Fix-It-4U and began offering a full range of handyman services. Repeat customers and referrals helped Fix-It-4U grow quickly. Before long, Adam was contracting larger, partial- and full-home remodel jobs. 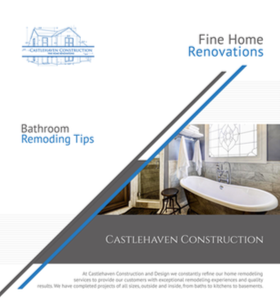 His business model evolved again and he established his current company, Castlehaven Construction. Castlehaven has since completed hundreds of jobs of all sizes for customers throughout the metro Atlanta area. Adam looks forward to future growth and expansion, as Castlehaven’s excellent reputation continues to grow. Adam Pollock has deep roots in Atlanta, growing up in Dunwoody and traveling only so far as Athens for his college years. He currently resides in Buckhead with his wife, Elizabeth, and young son, Sean.